Chinese archaeologists have found textiles in a mysterious tomb dating back nearly 2,500 years in eastern Jiangxi Province, the oldest to be discovered in China's history. The textiles, which are well-preserved and feature stunning dyeing and weaving technologies, will rewrite the history of China's textile industry, says Wang Yarong, an archaeologist who has been following the findings in the textile sector for more than three decades. "Chinese anthropologists suspect the textile industry burgeonedin distant periods of history and this is the first piece of concrete evidence to support their hypothesis," she said. 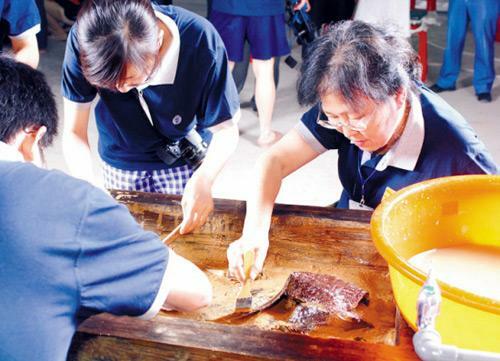 Wang and her colleagues found more than 20 pieces of fine silk, flax and cotton cloth in 22 of a total 47 coffins unearthed from the tomb in Lijia village of Jing'an county.